The muhurtam shot of Daggubati Rana’s film with Krish Jagarlamudi, director of the critically acclaimed movies Vedam and Gamyam, has been confirmed for tomorrow (December 14th) and this event will be followed by celebrations of Rana Daggubati’s birthday. 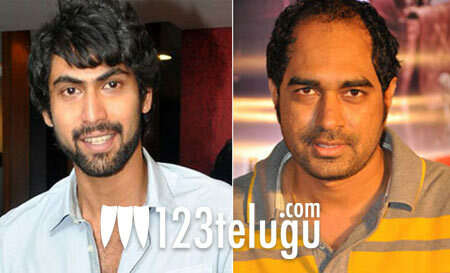 The movie has been titled ‘Krishnam Vande Jagatgurum’ and the movie has Rana in a powerful character. Some sources say that the name of the character would be ‘Reddappa’. The heroine of the movie has not been officially confirmed yet. Anushka’s name was heard quite strongly for a while, but there has been no confirmation from either Anushka or the makers. Jagarlamudi Sai Babu is producing this movie on First Frame Entertainments banner. Many industry biggies are expected to attend the muhurtam ceremony.